One night a young couple sneak onto the estate of wealthy Lydia Blessing and leave a box in the driveway. In the box is a baby and Skip Cuddy, the caretaker who finds her decides secretly to keep her. When Lydia Blessing discovers this she decides to collude with him. The secrets of the past, how they influence people in the present; what makes a person, a life, legitimate or illegitimate, and who decides; the unique resources people find in themselves and in a community. 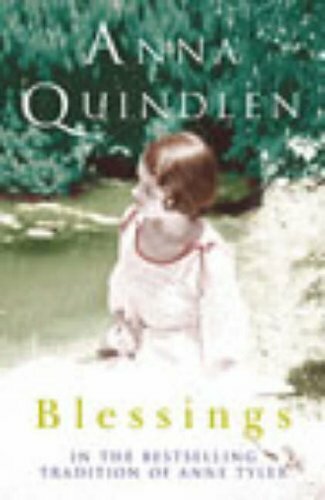 Another excellent book by Anna Quindlen. Passing this onto Purplerosebud to read. Thanks! I really enjoyed the last book by this author so I'm looking forward to reading this one. A good book now moving on. Hope it gets found and enjoyed by the next reader.